Assassinations, a love story, a kidnapping, and many twists and turns characterizes this riveting novel of historical fiction, circa 1958, thirteen years post World War II. Events are uncovered where The Ghost, a powerful Vatican Bishop, is sending assassins to retrieve a secret tailpiece – a hidden extension of the 1942 Wannsee Conference Papers that underpinned the Holocaust against Jews. Only two copies of this tailpiece remain where names of thousands of high level Nazis such as Eichmann and Mengele are listed along with their future destinations – should Germany lose the war. At the same time, New York City detectives working with British M16 secret service, and Israeli Mossad agents, get Nazi hunter Simon Wiesenthal and his group, (including an Israeli sanctioned killer) involved in order to find and send the crucial coded microfilm to England’s renowned decryption center. Now, in 1958, these Jewish Nazi hunters will not forgive and not forget. This story is newsworthy testimony regarding the villains who are actual historical figures and are named. Fitting it all together (as in the screenplay based on the story titled: “We Will Find You,”) is the avenging drama of the novel. 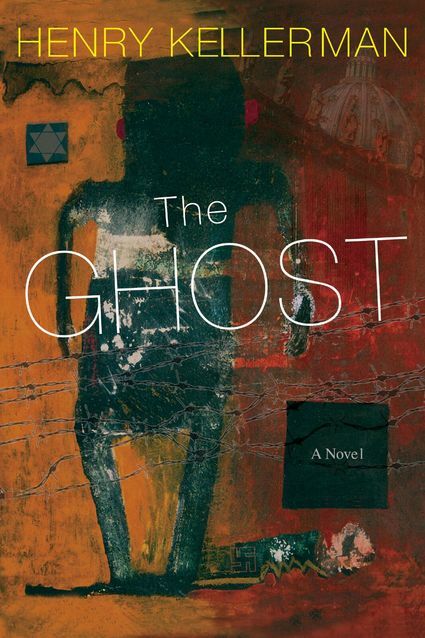 The Ghost is set thirteen years post World War II and follow several characters who are solving and trying to protect secret paperwork that could destroy a Vatican bishop and release the whereabouts of all of the top Nazi criminals. The story starts off with the attempted murder of a young boy who was trusted by his Mother with the paperwork. This sets off several events that tie in his alcoholic uncle, New York detectives, British secret services and Israeli agents. It is quite the fast moving and complicated plot with a lot of twists and turns. I found myself at times having to go back and double check to ensure that I did not miss anything. It was an excellent story from start to finish and I found myself researching the characters and some of the events that were described in the novel. While heart breaking and some of the events make you feel sick to your stomach as they did happen, these stories need to be told so that we don’t see this happen again. History classes in school do not cover enough of these stories and I think it is important that we teach our youth and adults about these atrocities so that they will never be repeated again. The story is well written but is fast paced and demands your attention. It blends history with a great sense of mystery and suspense. You never quite know what is coming next. The ending was well suited to the tone of the novel, although I would love to know what happened next for these characters as I am sure the events in the novel would have forever changed their lives. A definite must read for youth and adults a like. Dr. Henry Kellerman, psychologist/psychoanalyst/author, is a practitioner in New York City. His more than 50 years of treating individuals with a host of humanity’s psychological/emotional struggles as well as his more than 30 books published, is testament to his virtuosity AND SKILL in the telling of compelling stories.